Thank you! Check your inbox for your free gift. By the time my clients make their way to me, they’ve usually reached a certain reflection point. They want their next act to carry deep personal meaning and be engaging in a way their career may not have been. My clients want to make a difference. My clients want to reinvent their careers or businesses but aren’t sure how to make it happen. This book is for the person who wants to get serious about playing her part in creating better, more sustainable and more equitable communities. 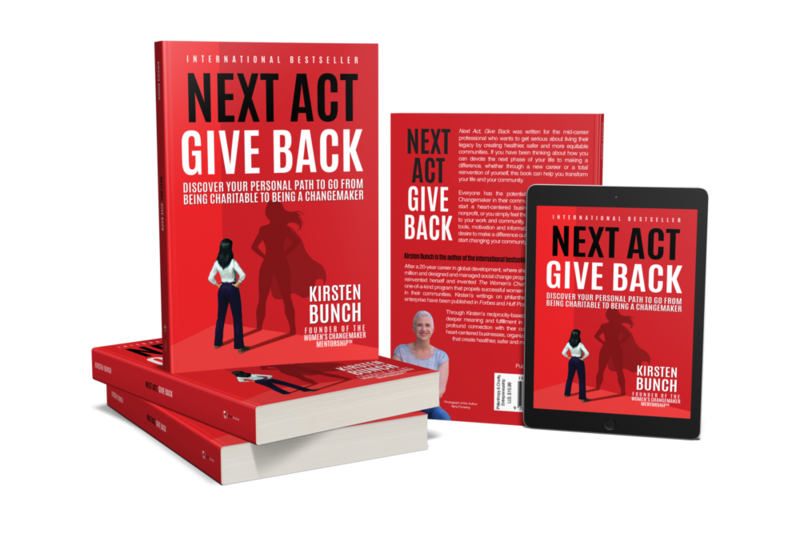 If you have been thinking about how you can devote the next phase of your life to making a difference, whether through a new career or a total reinvention of yourself, this book will help you transform your life. Are You curious about creating Your Next Act? Program for women entrepreneurs and executives who want to give back by starting a nonprofit, foundation or social enterprise.